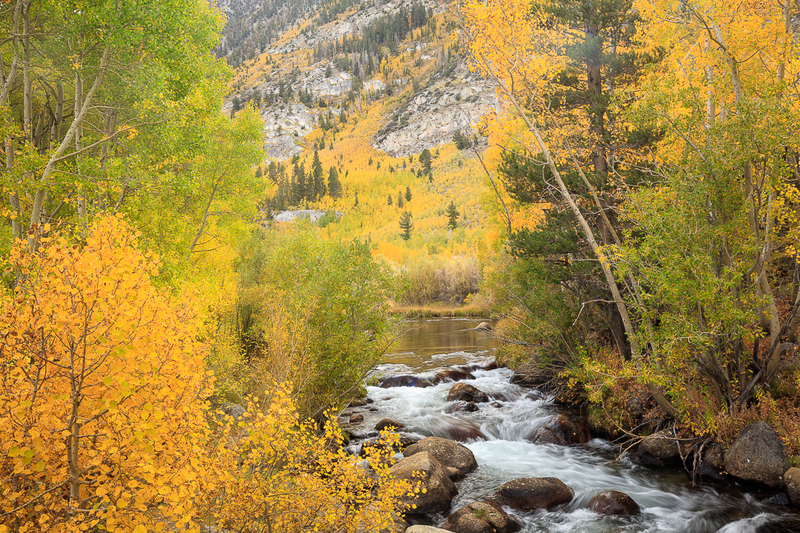 A magic time has arrived in the Eastern Sierra. The autumn colors have arrived a bit early, and at this point in the year there are more reds that I expected. This has always been a reflective time of year for me. The time between the end of one season and the beginning of another, paired with the crisp autumn outside, always gives me space to meditate and ponder the past year and quietly think of the coming one. A large part of it is just in taking the time to photograph these colors, experiencing the shift in the season from the perspective of intentionally looking into and capturing the details that make this season special. 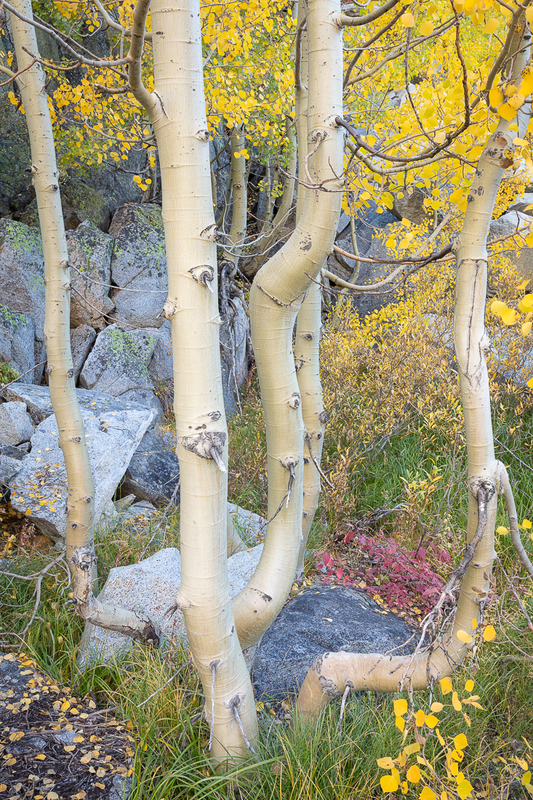 It is seldom that, in any given autumn season, I get any new images that I can work into my portfolio, but I very much enjoy photographing in October in the Eastern Sierra. All of the locations in these images are now places I have visited many times over the last 30 years. I have intentionally left off the exact locations of many of these images. What I will say to those looking to take their own autumn journeys in the Eastern Sierra is to start high in the canyons. Please stop by the gallery as there are more images to show. Call first, as I may be out shooting!